1 Owner, Low km, sold and serviced by Coastline Mazda since new. The CX-3 is a very nimble SUV that has been at the top of its class since it came out in 2016 winning Canadian SUV of the year. One of the benefits of the CX-3 is how easy it is to get in and out of, especially with the rear doors opening at an almost 90 degree angle. If you have been looking at a small SUV that is great in the snow or off road you need to come and test drive this CX-3. 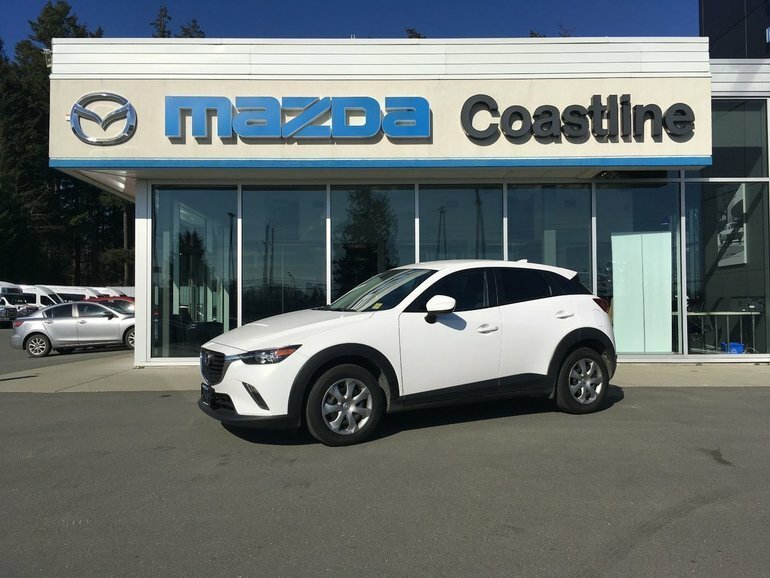 As with every pre owned vehicle sold by Coastline Mazda this CX-3 has been fully safety inspected, detailed, and comes with a Carproof Report for your peace of mind. Interested by the 2017 Mazda CX-3 GX ?